As soon as a visitor arrives on your website, they need to quickly “get” what you’re about. This is something you and I will discuss, possibly looking at other examples of similar websites. Don’t be too in love with your own ideas though. You’re meant to serve the target market, not your own tastes. The ideal customer needs to find this website both appealing and easy to use. The site needs to load reasonably quickly. Think about people using a mobile phone on bad wi-fi. Visual communication is just as important as written communication, and that’s why brevity is important. That means we should not overload the site with fancy bits, pieces, gadgets, distractions etc. It’s all going to need to work well on mobile too. It’s something of a web design renaissance that has come about in the last few years, possibly in response to the internet getting louder, noisier and crowded. Two fonts maximum. Any more than that and it starts to look messy. Ideally, one font will be serif (the curly decorations, like these). The other font would be sans-serif (no decorations). Titles and headings will be used by one font, and the body text will be used by the other. Simple. The colour palette you choose affects communication, user experience and purchase decisions so it’s important to spend some time thinking about it. Red means “stop” and green means “go.” Traffic lights send this universal message. Likewise, the colours used for a product, on a website, business card, or logo cause powerful reactions. 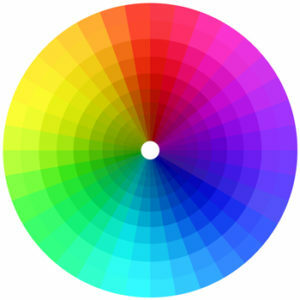 We might look at a colour wheel, which shows opposites on the spectrum. For example, black and white are opposites, create boldness and work well together. 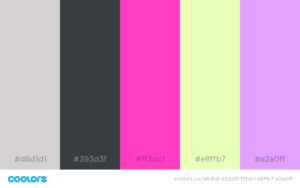 You and I might also visit an online colour scheme generator like Coolors.co. Don’t use light colours on light backgrounds. Avoid using colours that are close together on the colour spectrum (with exceptions). Use colours that are already in your existing marketing materials. Use one strong, specific colour for anything that is supposed to be clicked. That last point – about the action colours – is demonstrated in the video below. If we use WordPress, it will use a template design that is programmed/coded by me. This is called a theme and can be changed to another theme if needed. The advantage to using a theme is that you only have to add a new page or post, insert the content and click publish. The pages and posts will all have the same look and feel. The website will be uniform in appearance at all times. A person of average technical ability must be able to navigate your website easily which means eliminating question marks in the minds of the users. A person of average (or even below average) ability and experience needs to be able to figure out how to use a thing to accomplish something without it being more trouble than it’s worth. Users with disabilities are supposed to be able to access and use your website without problems, just as wheelchair ramps and lifts are supposed to be installed in public spaces, amenities, buildings etc. Accessibility for websites involves, among other things, making sure blind or partially-sighted users can operate the site. These people tend to use screen readers, which is a piece of software that reads text aloud. 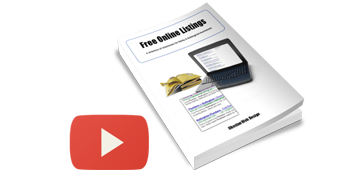 You’ll be presented with one or two pages in the form of a 2-3 minute private YouTube video. With further discussion, addition, subtraction, trial and error we’ll tweak and revise the layout. A private YouTube demo video will be emailed to you. A private version of the site will be uploaded for you to look at too. We’ll settle on a version of the layout that will be suitable for your website visitors although some of this is likely to evolve throughout the rest of the project, which is normal.